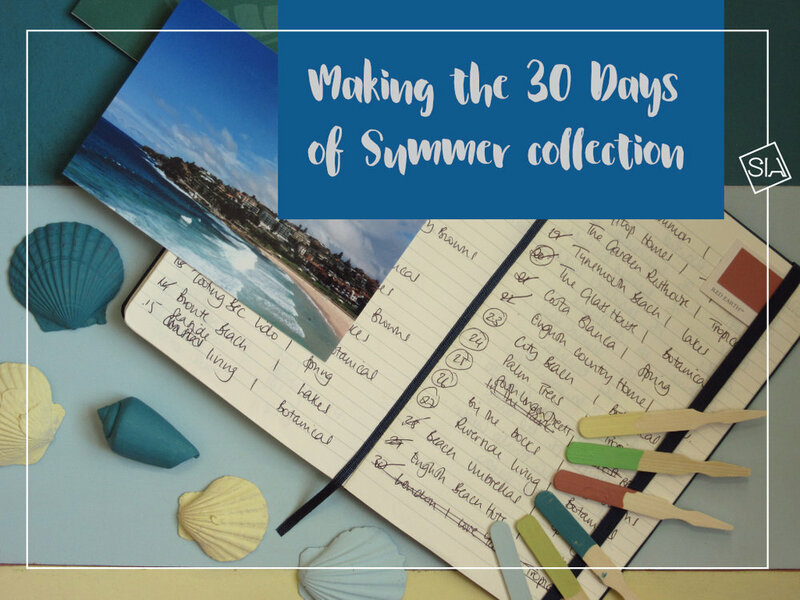 30 Days of Summer is a collection of art prints dreamed up gazing at bright blue skies with the odd fluffy white cloud drifting by. It evokes those feelings of picnic blankets and hampers in parks, beach towels and sun loungers as the sunshine warms your face, coastal walks at home and on the other side of the world. Travels to Singapore and Australia earlier this year kickstarted the collection. There were so many scenes I wanted to capture immediately - Sydney's gorgeous sandy beaches, tropical gardens in Singapore, Melbourne's idyllic St Kilda Beach. It led to scouring through hundreds of summer holiday photos I'd taken over the last few years. Parks and beaches, rivers and lakes - any location with a summery theme. Destinations came in and out and back again. The starting point is often sparked by something I've seen. One of the palettes, Botanical, was inspired by plant beds in Singapore. A striking colour combination of lime greens with deep pinks and burgundys kept cropping up, a beautiful, rich combination. I look for an interiors paint colour to base the scheme on - a colour to evokes the theme. A single design can take several hours and more often days to complete. I work from one of my photographs, with a quick sketch to work out composition and stripe detail. This slideshow video shows how a design goes from moodboard to finished piece. Join in on Instagram for previews of the collection before it's released.